The top Shelf Margarita eschews the usual sour mix in favor of lime juice, and that’s a delicious move. To that, it adds Grand Marnier (I also recommend Patron Citronge) and the top shelf tequila of your choice. The flavors of lime and orange seem fresher and more complex in this recipe compared to the ones that rely on sour mix. Pour yourself one of these whenever you’re in the mood for a margarita that’s a cut above ordinary. 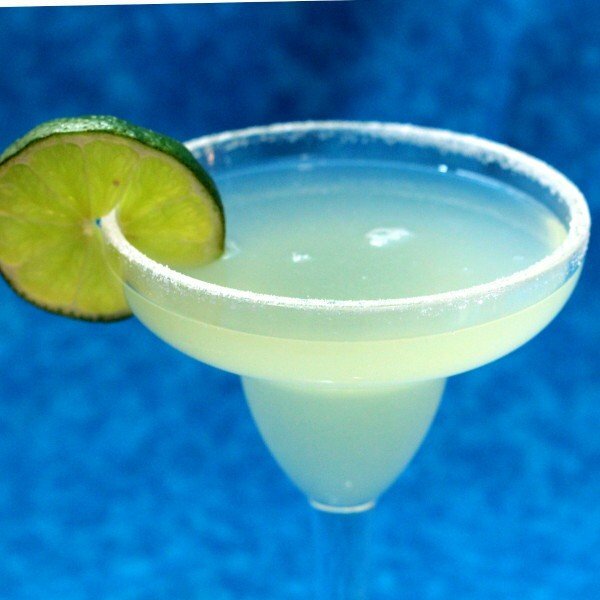 Run a lime slice around the rim of a margarita glass and them press the rim into a saucer of kosher sauce to create the salt rim. Put the ice in a cocktail shaker along with all other ingredients. Shake until beads form on the outside of the shaker. Strain the mixture into the glass, garnish with a lime wedge and serve. Mixed this drink up, omitted the simple syrup, and it makes for a really excellent Margarita. I prefer the Grand Marnier to Cointreau or Triple Sec, as it is not as cloying as the other two. I’m making this my “goto” recipe for a delightful cocktail. That sounds great! Sounds like we have very similar taste in drinks – less sweet, more flavor!